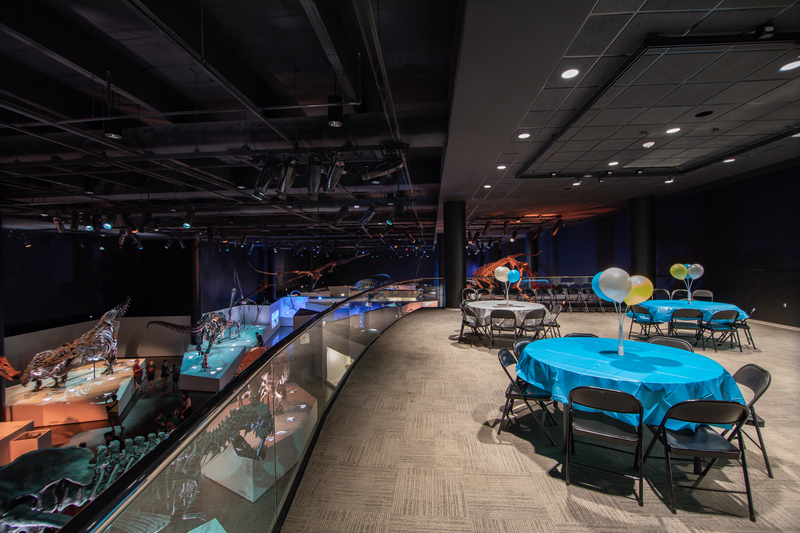 Party among prehistoric beasts in HMNS’ expansive Hall of Paleontology and enjoy a spectacular view from above. 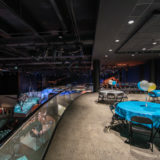 For 2.5 hours, your party has exclusive access to the Morian Overlook on the second floor overlooking dinosaurs below. 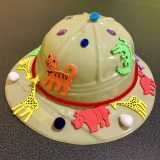 Price includes one Add-on presentation* and the opportunity to decorate your own safari hat! In addition to this deluxe party, you will also receive invitations and thank-you cards. Note: This party is located on the Second Floor overlooking the Morian Hall or Paleontology. 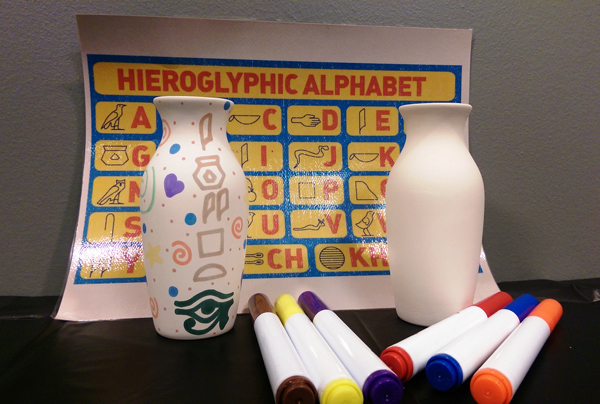 This package is only available at the HMNS Main location. Please note no food or drinks (of any kind) are allowed in the first floor exhibit space of the Morian Hall of Paleontology. However, food and clear drinks are allowed on the Second Floor Morian Overlook. No helium balloons are allowed in this space. There is a maximum of 30 children and 30 adults allowed for this package option. 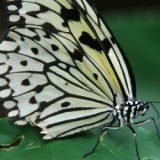 The Cockrell Butterfly Center provides a stunning backdrop for the ultimate butterfly or insect fan! 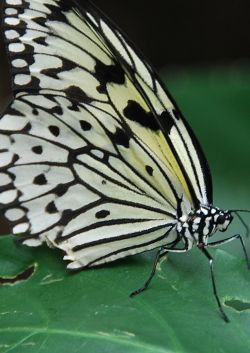 Price includes access to the Butterfly Center for 2.5 hours, an Add-on presentation,* and the opportunity for each child to release a butterfly into the Rainforest! 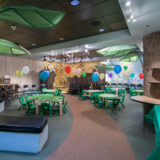 The party is located in the custom-designed kid-friendly Hive on the main level and guests have access to all three floors of our distinctive venue. In addition to this deluxe party, you will also receive invitations, thank-you cards and one dozen balloons.Note: This package is only offered at the HMNS Main location. Note: No food and beverages of any kind are allowed inside the Rainforest at any moment during the party – we have to be mindful of our winged friends. Food and drinks are allowed in designated party area only. There is a maximum amount of 30 children and 30 adults allowed for this package option. 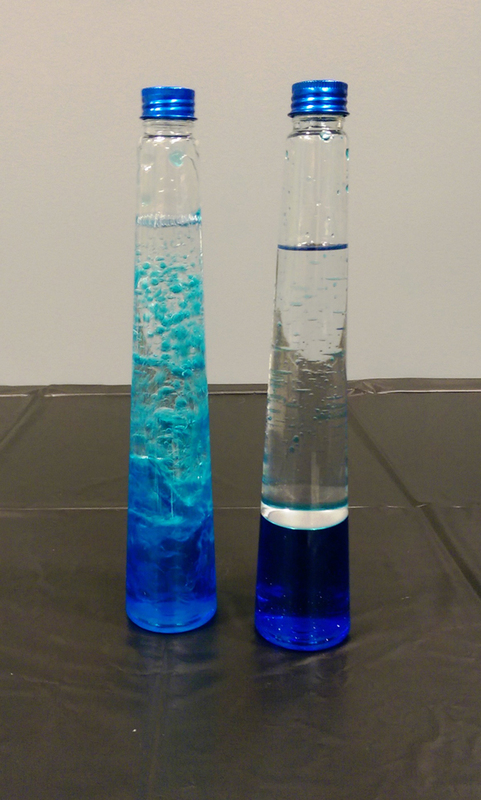 Enjoy an out-of-this-world party for you and your guests! For 2.5 hours, your party has exclusive access to the Morian Overlook on the second floor overlooking the dinosaurs below. 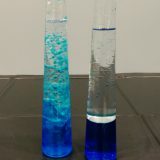 Price includes a Planetarium show, an Add-on presentation* and the opportunity for your guests to create their own lava-lamp! In addition to this deluxe party, you will also receive invitations and thank you cards. This package is available on a first come first serve basis and is subject to availability. Note: Please note no food or drinks (of any kind) are allowed in the first floor exhibit space of the Morian Hall of Paleontology. However, food and clear drinks are allowed on the Second Floor Morian Overlook. No helium balloons are allowed in this space. There is a maximum of 30 children and 30 adults allowed for this package option. Take a walk on the wild side with our Wildlife Deluxe Party package! 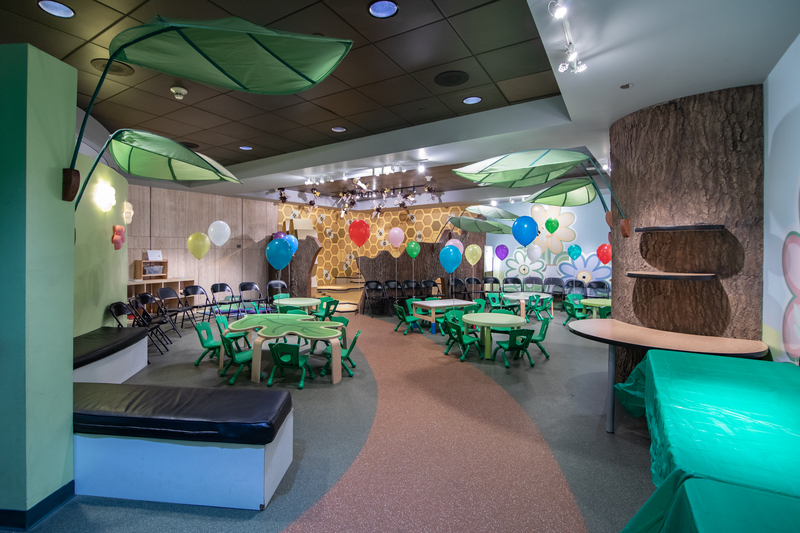 Thrill your guests with a party on our second floor Morian Overlook with an awe-inspiring view of our Morian Hall of Paleontology! Then take a 45-minute tour of our new Farish Hall of Texas Wildlife and learn about Texas ecosystems. 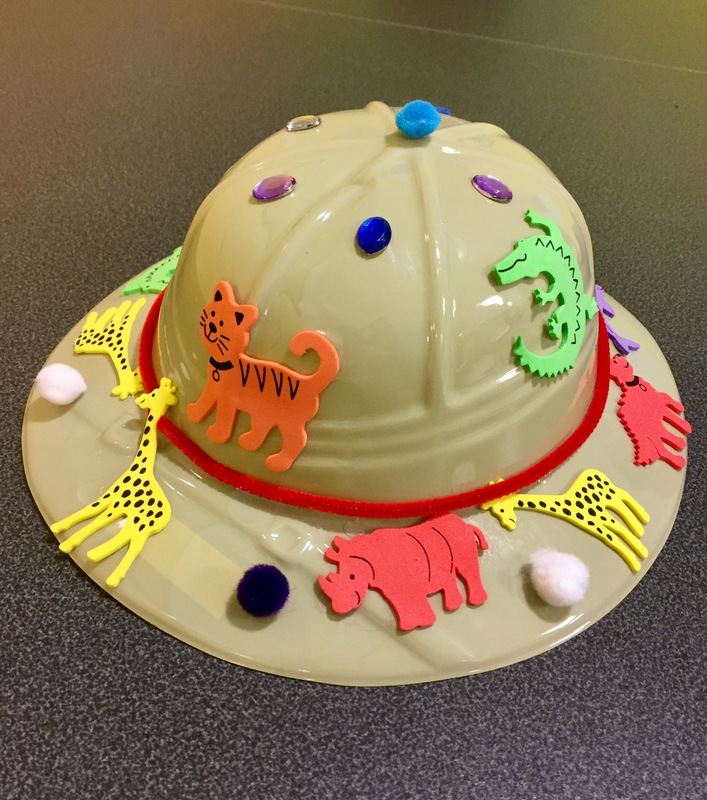 Party time is 2.5 hours and price includes one Add-on presentation* and the opportunity to decorate your own safari hat. Note: This package is only available at the HMNS Main location. This party is located on the Second Floor overlooking the Morian Hall or Paleontology. Please note no food or drinks (of any kind) are allowed in the first floor exhibit space of the Morian Hall of Paleontology. Food and clear drinks are allowed on the Second Floor Morian Overlook; no helium balloons are allowed in this space. There is a maximum of 30 children and 30 adults allowed for this package option. 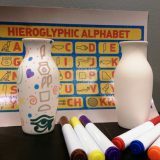 Party time is 2.5 hours and price includes one Add-on presentation* and the opportunity to decorate your own canopic jar. Note: This package is only available at the HMNS Main location. This party is located on the Second Floor overlooking the new Morian Hall or Paleontology. Please note no food or drinks (of any kind) are allowed in the first floor exhibit space of the Morian Hall of Paleontology. Food and clear drinks are allowed on the Second Floor Morian Overlook; no helium balloons are allowed in this space. There is a maximum of 30 children and 30 adults allowed for this package option. *The Jurassic Extreme Add-on presentation requires an additional $75 fee.